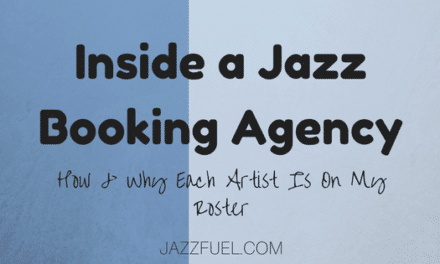 More than 300 musicians on the Jazzfuel mailing list recently took part in a survey to answer questions about their careers: where’re they’re at, what they’ve got planned, the successes they’ve had so far and the challenges they face with tour bookings, releasing music and generally managing a career. Some of those sound familiar to you?! These themes came up again and again for the simple reason that they are real challenges! If getting gigs was easy, then everyone would be touring all the time! But rather than feeling overwhelmed, it’s actually a benefit – honestly! 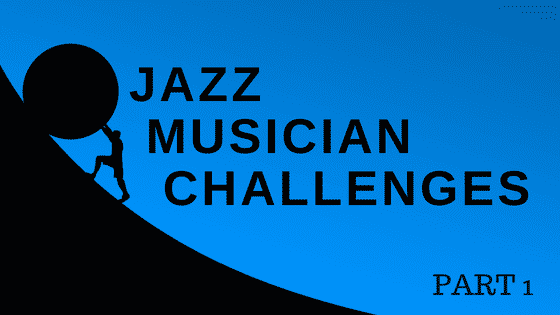 Because if you can be in the minority of great musicians who push through and figure out how to ‘win’ here, you are ahead of a LOT of other great players in the hunt for a better and more international career! Remember: making great music is essential, of course, but it’s only half the battle! If you are not connecting with the right people, showing them the right things, appearing in the right places and doing all of that consistently, there’s no guarantee you’ll get the gigs you deserve. My challenge? I’m unknown to most people! I’m only known in my area. How do I get credibility outside of that? I feel my projects are all very valid and extremely good, but my own name is not that known yet. It’s true that you’re probably at a bit of a disadvantage with some jazz promoters and journalists if the first time they hear about you is when you send them an email! Who do you know inside the industry already? Make a list (now!) and send them a note with your latest news. People talk and it’s important you are in their mind! In fact, one great way of expanding into new territories where you’re not ‘known’ is via personal recommendations. Double up your digital efforts. Sharing great video and audio content is the best way of getting people into your project. That doesn’t just mean posting on social media – although having a good strategy for that is important – but ask bloggers, magazines and other industry contacts to share it for you too. If you are really focused on getting gigs in Germany next year, for example, get your best quote translated into German and put it on a 30-second promo video for social media. Not many people do things like that, so you’ll stand out! Figure up who the key journalists and influencers are too, make a list, follow them on social media and introduce yourself by email. Use local gigs to create a buzz. What’s the next step up in terms of venues in your home town? Put all your gig-booking efforts into getting a gig there and then share that news with all your network. Tip for persuading them to book you: let them know that you will be doing a big push on your next show in terms of marketing and social media. Offer to do a door split deal or a lower guarantee if you need and then make sure it’s sold out! Make people aware of everything you’re doing. When something happens – you release music, do a gig, make a music video, feature on someone else’s gig, win an award – make sure you tell the promoters you want to reach about it. If you don’t shout about the good stuff you’re doing, no one will know!! Got to industry events & showcases. The jazzahead conference in Germany is an example of a great place to build connections and showcase to an international audience. It’s not for everyone, but those situations can really help your profile in the early days. Most countries have organisations who can help you get connected internationally too. Hit them up if you haven’t already. A lot of the bands out there regularly getting gigs – themselves – do it consistently. Month-in month-out, year after year. That’s the only way sure I’ve seen to build the momentum on a project. It’s super rare in my experience for a festival promoter to read the first email you send them and confirm a show. Even a reply is a surprise sometimes. It could be the 4th or 5th try before the magic happens… And if you’re not asking 4 or 5 times… you’re getting nothing! Find someone inside the industry to sit down with you and make a long-term plan – at least a year – and then book catch ups to monitor progress. I’ve done this with musicians in the past, and I’m sure there are promoters or educators in every city who’d be willing to help you out with this. Both of these are totally achievable with the right focused effort! My challenge? Finding time for doing all the emailing, communication work and promotion myself. Having the time to take care of the admin and ‘business’ tasks involved with your career came up a lot – especially for musicians who were already touring nationally or even internationally. It’s true, all this booking and ‘career’ stuff takes up a lot of time. But whilst you can have one eye on getting an agent, label or manager to help you out, you need to come up with some short-term solutions! I’m not the most organised person I know. The ‘eat-a-frog’ concept (it’s a real thing!!) is based on a great quote by Mark Twain, who once said that if the first thing you do each morning is to eat a live frog, you can go through the day with the satisfaction of knowing that that is probably the worst thing that is going to happen to you all day long. So, every night, note down 1 or 2 business-related chores for the next day. They can be as simple as you like, but the key is to get them done early. Block out some time – even 25 minutes a WEEK – in your diary where you shut off distractions and just research festivals or send pitching emails. This timer (based on the Pomodoro Technique) gives you a 25 minute countdown to work (super hard) for. 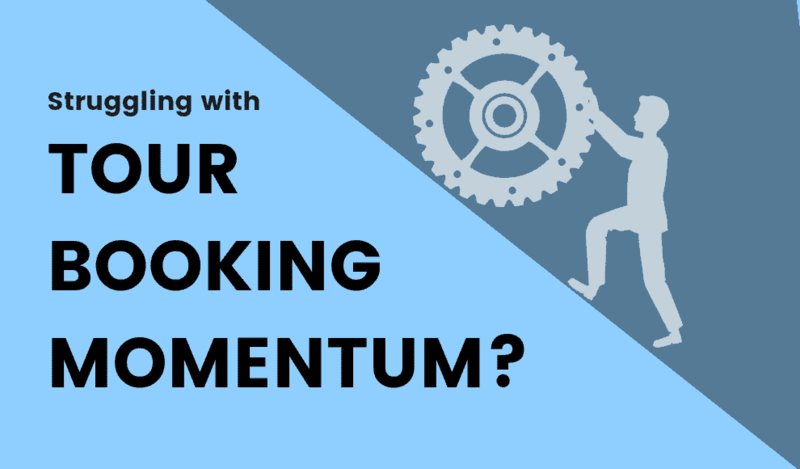 It might sound like a ridiculously short amount of time, but I wonder if you can honestly say you spent 25 or 50 focused minutes every week for the last month asking for gigs? The other option is to pay someone else to do the work that’s taking up too much time. I’ve done this – and still do for some things. It can be effective but it involves knowing exactly what is taking up your time that you need someone else to do. If you can’t explain it, step by step, they won’t do it properly and it will end up taking you more time than you think. It’s pretty much a calculation of whether the amount of money it’s going to cost you is worth it for the amount of time you’ll win. What will you be doing instead? As an example, I prefer to pay someone (more organised than me!) to take care of preparing schedules, so I have more time to pitch for gigs. The calculation is that the extra pitching time makes enough money to cover the cost of the paid support. Plus it makes my life 30% more enjoyable! If this option is interesting to you, I might be able to recommend or hook you up with someone on the admin side… You can send me more info here and I’ll see if I can help. 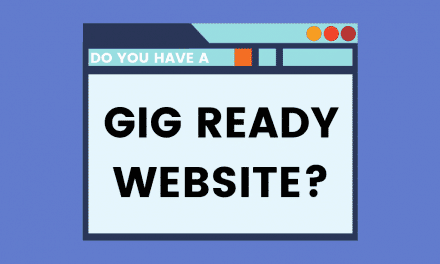 Be sure to list exactly what you need someone to do – and it can’t include specialist tasks such as “book me some gigs!” This list about booking agents and music managers might help. Thanks again to everyone who took part in the survey. I found it super interesting to read through all the comments and I hope some of the takeaways here show you that a) you’re not alone in these struggles and b) there are actionable steps you can take to progress with whatever is holding you up! Stay tuned for part 2 of the survey results! NextHow can you break into a new territory without an agent or network? !